Going to the zoo isn’t just looking and learning about the animals. 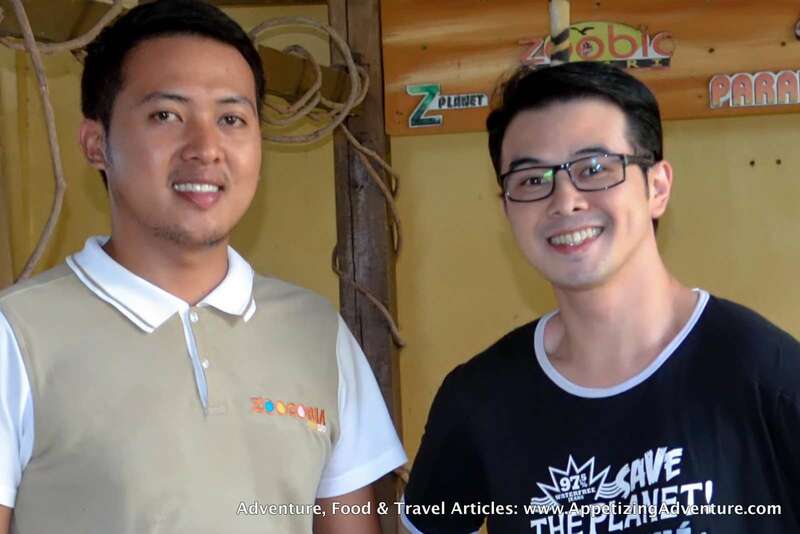 At Zoocobia Fun Zoo in Clark, they raise the experience to a whole new level. There’s animal feeding, rides, and shows. How fun is that? 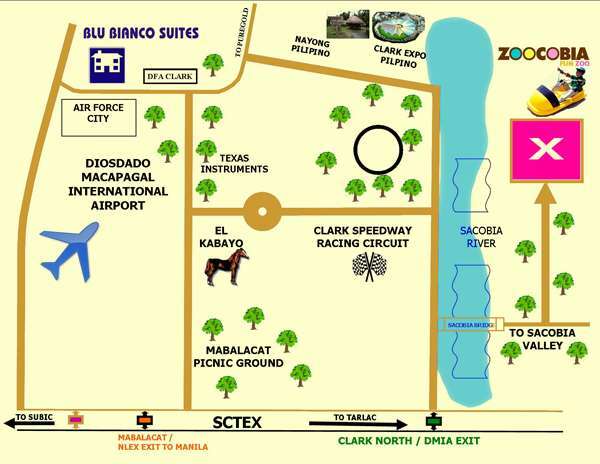 Bring the kids, your friends, and family to Zoocobia and try these activities I recommend. This turned out to be an awesome surprise! At first, we were led to a sealed area full of parakeets. Everything seemed calm and ordinary. 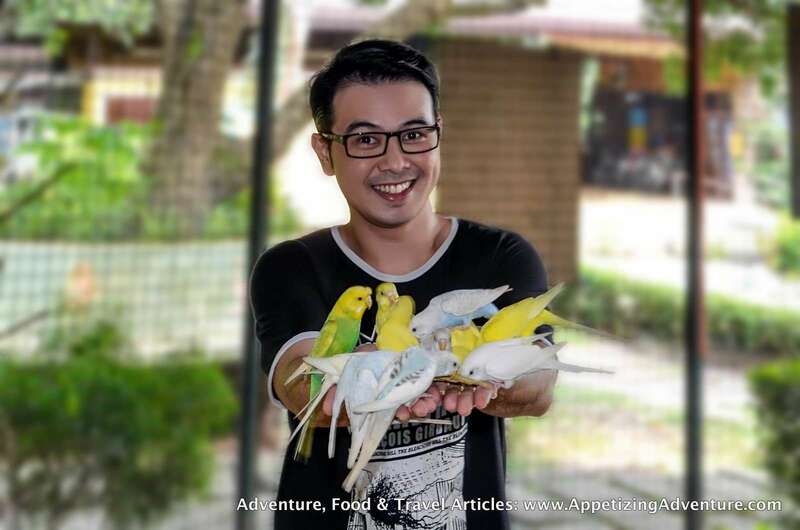 Then, our guide poured birdseed on my hands. That’s when everything started to get exciting. The birds flocked to my hands devouring the birdseed. Their small beaks tickled my palms. It was so much fun. Some of the seeds fell on the ground, and some of the birds flew down to finish them. We were careful not to step on the birds. 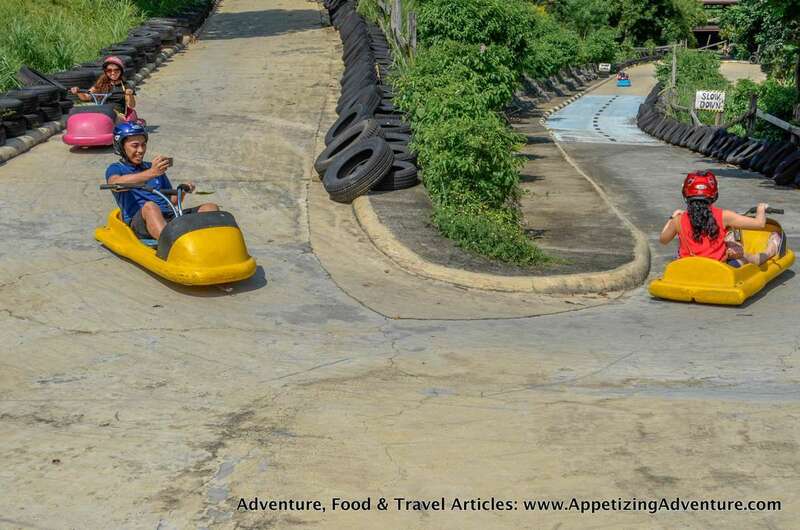 Ride the gravity car and zoom down the 400-meter track. It doesn’t have any engines so it works with your body weight and gravity to move. It accelerates as you ride down the path, and you can slow it down with the brakes as you make a sharp turn before reaching the finish line. 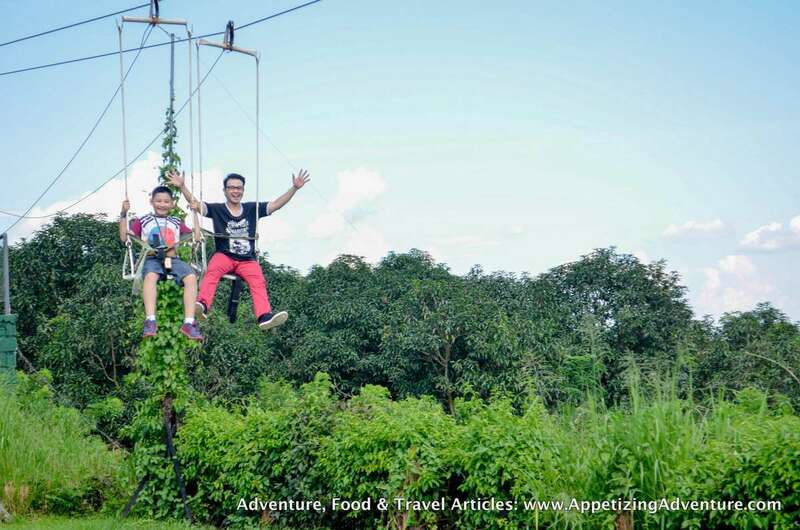 It’s like a swing and a zipline rolled into one. It’s a very short and relaxing ride. I never thought this would be possible here in the Philippines. But it is!!! 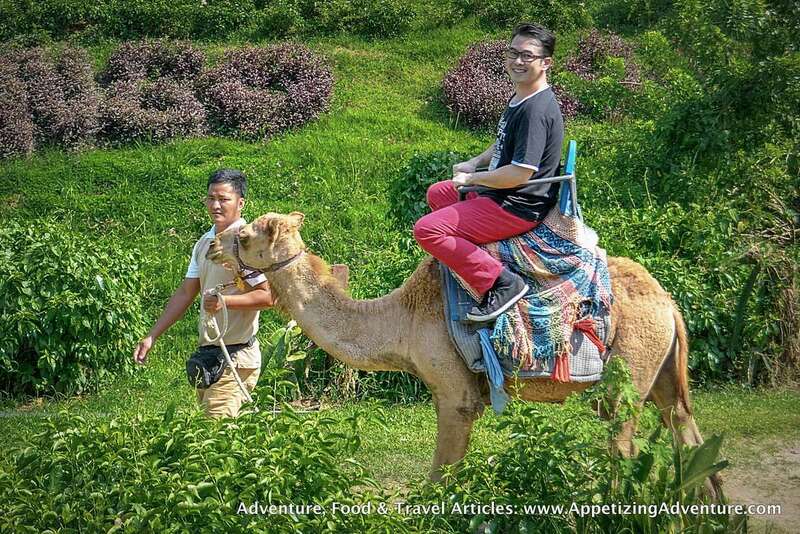 From the platform, the guide will help secure you on the back of the camel. He will guide the camel walk around the area until you reach the platform again. I had to wear protection for my hand before the feeds were given to me. 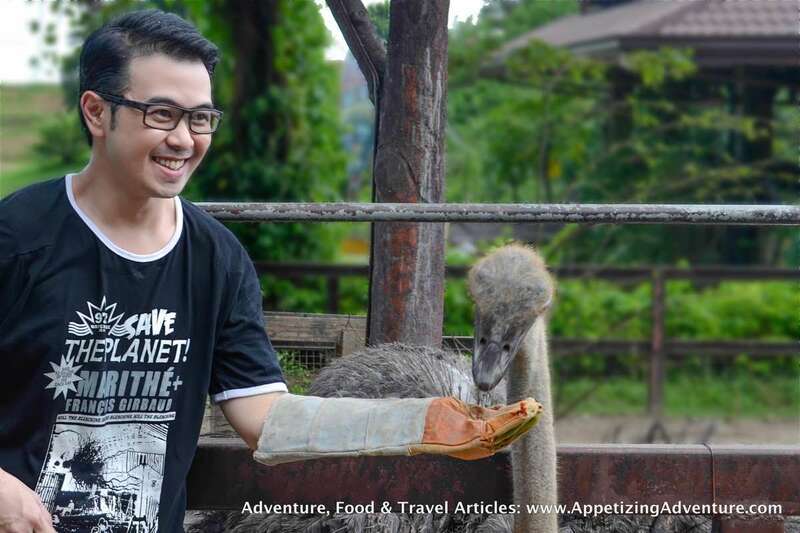 The ostrich I fed was really strong and I felt its force as it fed from my hand. I thought it was going to be painful, but thank God for the thick leather glove. Near the ostrich area, you’ll see a bearcat above you. 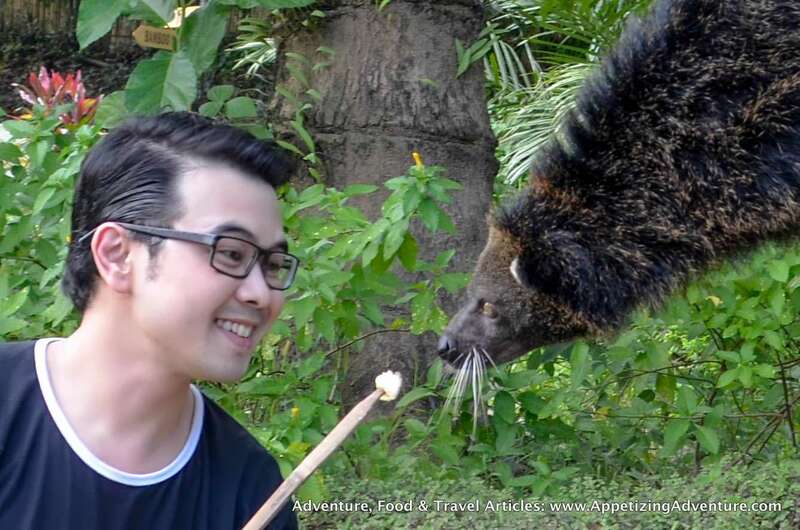 The guide will give you a stick with a piece of banana and the bearcat will reach for it. That’s the exciting part, it’s when the bearcat goes down the pole and tries to go near you to get its food. It’s getting up-close and personal. There were so many farm animals. 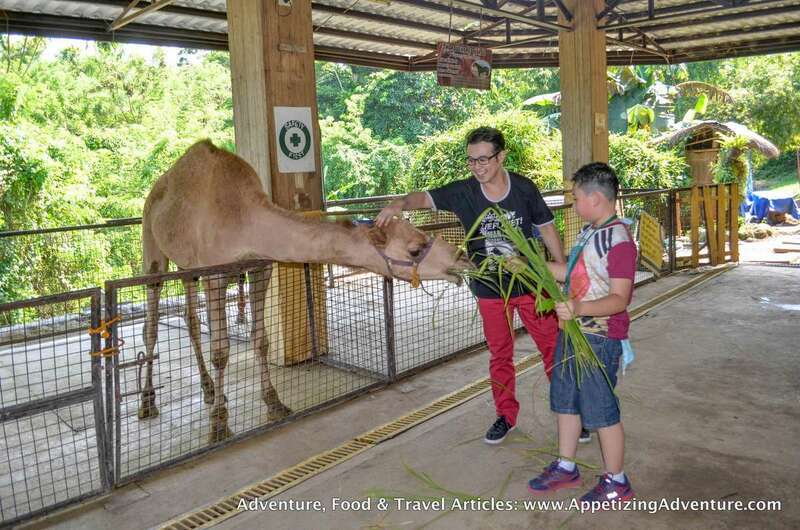 I enjoyed feeding the camels. With their long necks, they reached out to eat the grass I was holding. They’re friendly. 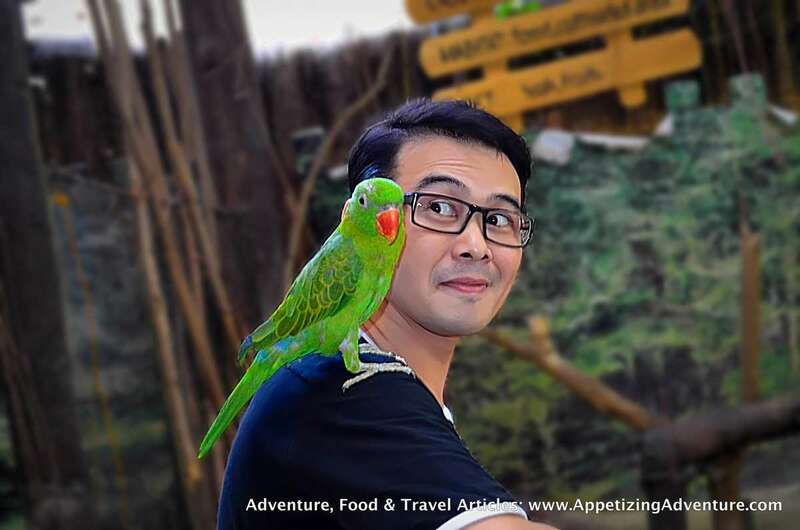 There’s an aviary where you could have the birds stay on your shoulder or your arms. That was a fun experience too! 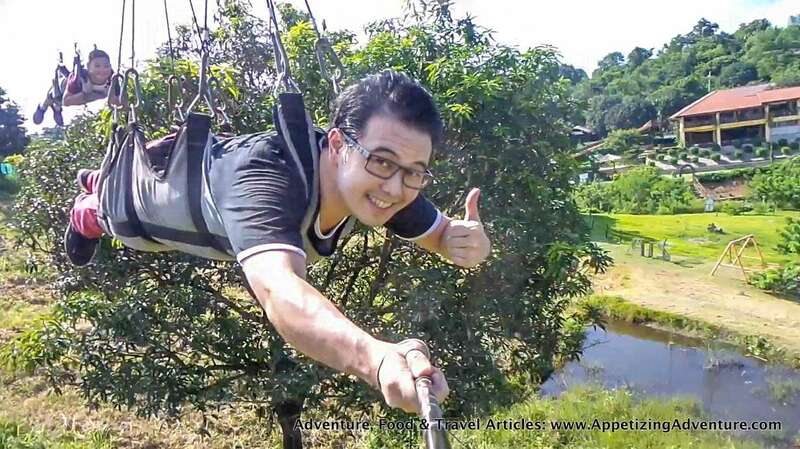 I’m afraid of heights, but with their zipline, there’s nothing to fear. It wasn’t so high so I was comfortable using my selfie stick and camera phone to record the experience. It was also fun that I had to go through leaves from the top of trees, it added to the excitement. 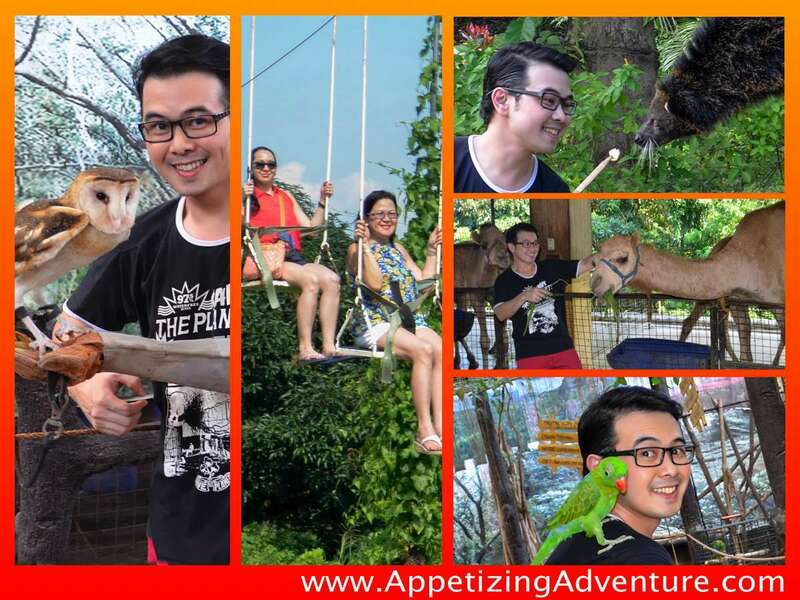 Guests are allowed to go around the area and take a look at the animals. They can also go through the garden maze for free. Animal shows are available during weekends and holidays at 10am and 3pm. The rides and animal feeding are not included here. 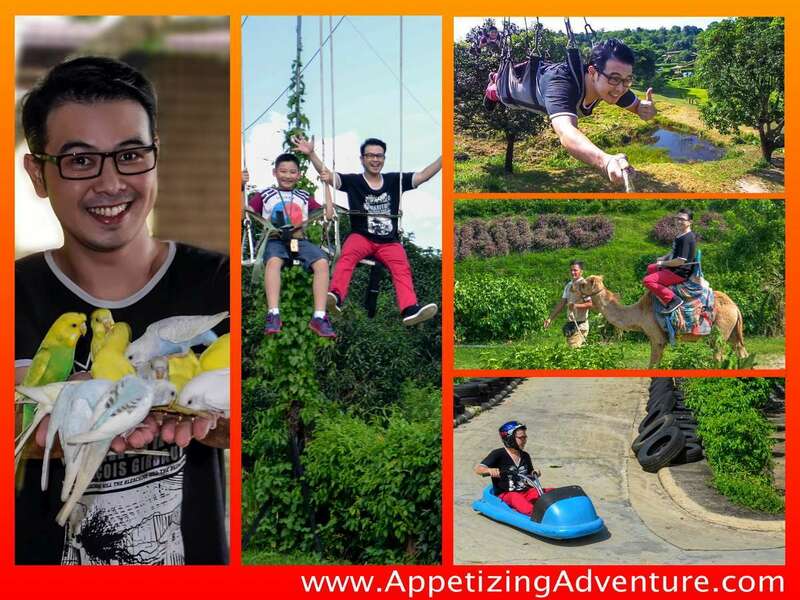 Good for four (4) persons including day tour, set meal, unlimited rides for gravity car and giant slide, one time zing ride, and one set of animal feeding. Discounted rates are given to big groups, company outings, and field trips. Contact the management directly.